Students get a chance to read different books for a set short period of time to expose themselves to new genres and stories. 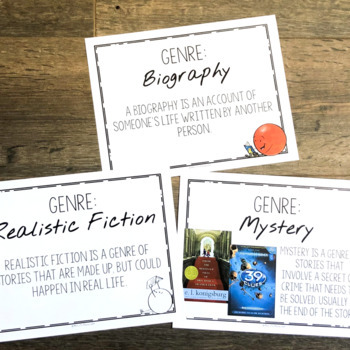 I did this with my 5th graders, and even my more reluctant readers were excited about the books they came across and now have on their list to read for independent reading! This resource contains a directions page that you can give to students indiviudally, in groups, or project on board for entire class. There is one specifically for 5th grade, and another general one that is not grade specific. 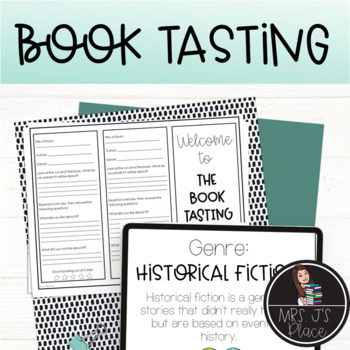 There is also a Book Tasting Menu, where students write down their responses to what they read. Again, there is a 5th grade version, and one that is not grade specific. There is also a color, and black and white version. 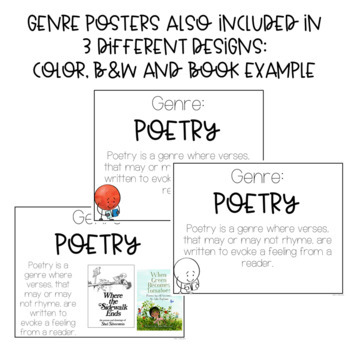 Finally there are genre posters you can post to help remind students of the different types and explanations of genres. 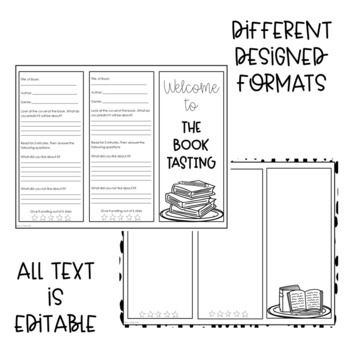 There are 3 different versions of these: black and white, color, and one with book examples of that genre. The PDF can be modified. Make sure you have correct software for editing purposes. classroom so I can create more for you.